thanks for this great plugin. However I've been facing a problem with the tabs I have in my page under the product image, see example here http://b-free.cecilialessandrini.it/prodotti/tiramisu/. The native language is Italian. When I select a foreign language, GTranslate translate the whole page correctly, but when I select a new text tab under the image(let's say "Ingredients"), the tab does not open. The website is using Wordpress, while the tab is a shortcode. thanks for your reply. 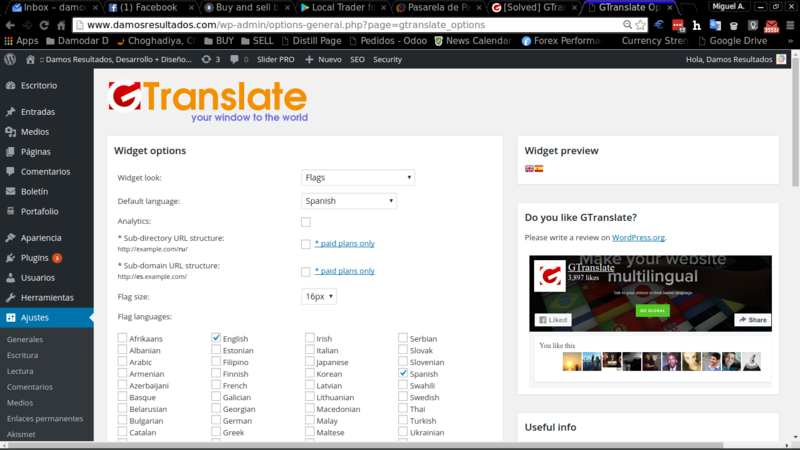 I fixed the end tag issue on the tab, but I still cannot surf through the tabs when translating in a new language. I now have only 2 errors in the page: an alt attribute not displaying correctly in the logo and "Bad value gtranslate for attribute role on element div" which I don't know how to fix. Please try to use the On Fly translation method. You need to go to GTranslate module settings and change it from there. Marvellous, now it works smoothly and perfectly. Hi, I have the same issue at http://bit.ly/1XZYlZP but there's not On Fly translation method at settings. How to fix it? Please make sue that you are using the latest version.